Whether for recasting your brand image or for major changes, reorganizing your work environment offers a unique opportunity to review the direction of your company, its identity, and the brand image it conveys to its collaborators and partners. Today, rearranging the work environment is first and foremost intended to provide your employees with well-being and comfort, while conveying a strong message to your potential customers about the company’s values. This can also be part of an overall communications plan to gain a clear understanding of the company’s purpose, its expertise, strengths and added value, and what distinguishes it from its competitors. So it is a long way from the time when the company image was aimed at the reception desk and the showroom! These days, there are many ways work spaces can be laid out with infinite possibilities available, thanks to the various choices of design, materials, colours, furniture, and also the multiple possibilities for displaying messages and the company’s values. Everything becomes a tool for communication and a reason for expression, to steadily build a reputation and to differentiate the company from the competition. 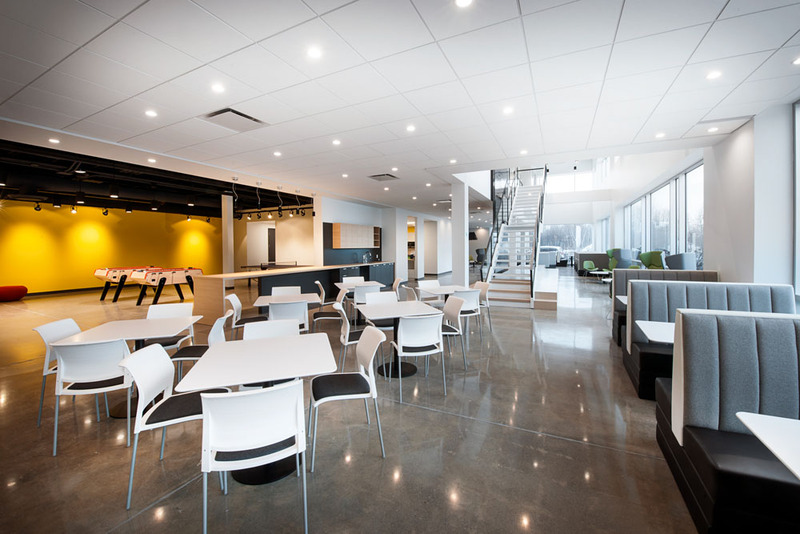 With unique expertise in enhancing work spaces, Aquest Design is distinguished by its approach that focuses on a close working relationship with its partners. Rest assured that we will make every effort to create unique, clean and contemporary spaces. Contact us at 1-800-344-8341 to share your project with us. Our consultants will be happy to discuss your project and answer all your questions.